Mike Milom – Milom Horsnell Crow Kelley Beckett Shehan PLC. W. Michael Milom is a partner in the firm of Milom Horsnell Crow Kelley Beckett Shehan PLC and concentrates his practice in the areas of entertainment and intellectual property including copyright and literary property law. Mike represents many of the most successful recording artists, producers, songwriters, music publishers, authors and other members of the creative community. Mike is a past chairman of the Tennessee Bar Association Section on Copyright, Entertainment and Sports Law and has served as chairman of the Entertainment Law Committee of the Nashville Bar Association. He has served on the Executive Committee of the Music and Personal Appearances Division of the American Bar Association Forum on the Entertainment and Sports Industries and on the Copyright Office Committee of the Intellectual Property Section of the American Bar Association. He also served as a member of the International Copyright Panel of the U.S. State Department Advisory Committee on International Intellectual Property, a Trustee of the Copyright Society of the U.S.A and as a founding director and chairman of the Copyright Society of the South. Mike also served on the Advisory Council of the Tennessee Film, Entertainment and Music Commission and as Chairman of the Mayor’s Advisory Commission for the Metropolitan Nashville Film Office. Music Row Magazine has called Mike “one of the most effective and respected entertainment lawyers,” noting especially his national reputation in intellectual property law. He has been listed in Best Lawyers in America® for 20+ years, and was again recognized in 2019 in the practice areas of Copyright Law, Entertainment Law-Music, and Trademark Law. Mike was recognized in the 2018 Edition of IP Stars as a Patent Star and a Trademark Star. Mike was recognized by Super Lawyers Mid-South 2018 in the practice area of Entertainment & Sports. Billboard Magazine included Mike in their 2018 List of Country Power Players and named him one of their 2018 Top Music Lawyers. Mike has been included in the “Best 150 Lawyers in Tennessee” and in the Nashville Business Journal’s “Best of the Bar. He has been listed for several years in LawDragon’s “500 Best Lawyers in America” and, once again, in 2018, has been named a Star Individual by Chambers USA in practice area of Media & Entertainment. 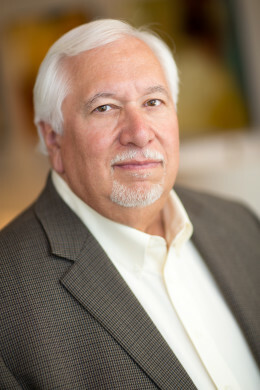 Mike served as a member of the adjunct faculty of Vanderbilt University School of Law for more than 35 years teaching copyright and entertainment law and is a frequent speaker in professional seminars and symposia on intellectual property and entertainment law throughout the United States. He is active in community affairs, having served as president and a board member of the Greater Nashville Arts Foundation, a founding member of the board of Tennessee Volunteer Lawyers for the Arts and as a member of the board and executive committee of the Arts and Business Council of Greater Nashville. Mike also has served as Legal Counsel to the Country Music Association and currently serves as legal counsel to the Country Music Hall of Fame and Museum, Country Radio Broadcasters, Inc., the Country Radio Seminar and the Chet Atkins Music Education Fund. Mike is also an alumnus of Leadership Nashville and Leadership Music. Mike is a voting member of the Country Music Association (CMA) and the Academy of Country Music (ACM). Mike received his B.S. degree in 1964 from Middle Tennessee State University and his J.D. degree in 1971 from Vanderbilt University. He served in the United States Naval Reserve (active duty 1964 – 1968) and holds the rank of Lieutenant Commander, USNR- Retired.